The financial technology industry is seeing a move away from one-size-fits-all enterprise systems to cloud-native microservices based on the separation and segmentation of individual tasks. While these microservices can also be aggregated back into a big platform, it’s not essential. Microservices born in the cloud offer an on-demand consumption model which can scale dynamically to meet individual needs. A guest post from Calypso. The adoption of microservices will revolutionize the way firms view their system infrastructure. IT departments no longer have to invest in a full-scale platform, often associated with long implementation times and high costs, where some functionality may even be redundant. Forward-looking decision makers need to know the trajectory of technology delivery and why microservices matter. This will impact investments in new business ventures, profitability and readiness for regulatory change. Calypso Technology believes the move to microservices will bring agility, efficiency and substantial cost savings to the financial markets. This will have a direct impact on the evolving collateral management landscape. The demand for collateral management tools has grown exponentially over the past decade. More recently, small and medium sized buy-side and sell-side participants needing to manage non-cleared margin requirements have entered the game. The implementation of non-cleared margin rules has broadened the audience for collateral management systems to medium and smaller asset managers. Without a budget in the millions, these system buyers need simpler and cheaper solutions that still allow customization and scale when necessary. Satisfying the needs of smaller market participants has resulted in big changes to system architecture that has, in turn, impacted technology and the market more broadly. The complexities of collateral management in an environment of consolidation of information, exposures, inventory and assets classes present unique challenges to systems providers. The business models that enable effective collateral management capability differ considerably from the model typically seen just a few years ago. Collateral must be seen across an institution; a major departure from traditional siloed businesses. Fixed income, equities, derivatives and even FX and commodities must have their collective collateral inventory positions, optimization, capital and balance sheet usage, regulatory compliance, eligibility and availability managed simultaneously. Margin exposures for clients are often netted, even across products. As such, exposure information must be centrally collected, processed, reported and managed. Information needs to be in one place and consistently recorded and analyzed. The first wave of investments in collateral management infrastructure was often done internally; technology departments bolted systems onto their existing infrastructure. Later, vendors started to displace internal system development with next generation software architecture, integrated with existing settlement, books and records, risk and trading infrastructure. Cheaper than an internal build, it allowed for the latest functionality to be incorporated, and was quicker to deploy. Next came the cloud version of vendor systems, sitting on external servers. In all of these models, one single piece of software delivers a full suite of functionality. While this gets the job done, any new upgrade, implementation and service change keeps costs relatively high. Financial institutions have been re-thinking how to deploy and maximize the value from their collateral management systems for some time. No one wants stand-alone black box vendor systems that are costly to integrate, upgrade and maintain. The emergence of cloud-based platforms goes a long way towards fixing the servicing and update problem, but can result in a less flexible “take it or leave it” solution. Systems built as modules with organized suites of functions is an improvement, but system buyers were still paying for functions they didn’t necessarily want. The core problem remained: how can a system provide only the functionality necessary, be economical to buy, run and maintain, yet still expandable when change is needed? A cloud-native microservices architecture consists of small independent business services with well defined, documented and stable APIs. Services can be independently consumed to meet specific business requirements, starting with the smallest scope required to realize business value and growing to leverage more and more services as the business need grows or legacy systems are retired. In a microservices environment, each service will already be able to communicate within the Calypso microservices ecosystem, further reducing the time to implementation. But it is possible for a client to only select one service and integrate it with external services. For example, a customer could decide to use both margin and collateral services working in tandem. But they can also decide to only use the margin service and opt to deliver the data to a downstream external collateral service. In a comprehensive application, there are no clear boundaries between the modules of the application. Each module can depend on the data and libraries managed by other modules. The main challenge with building an application this way is the cost of migration and maintenance. It is not easy to identify which libraries or data are being used by other modules and the testing and regression process is much more time consuming. This can result in migrations and update projects being costly; one small change in one library can have a cascade impact on the modules with dependencies. In a microservice architecture, the boundaries between each service are clear, as they are limited to the service API. Apart from the API, everything else is hidden to other services. The scope of what is public is controlled and smaller than in a modular architecture, and it becomes both easier and quicker to upgrade services independently from one another. Calypso was built using an event driven architecture, and as such the transition from modular to microservices was a natural shift. However, the time for implementation and upgrades was causing constraints. By contrast, the nature of API-based services should reduce migration times. Resources can be shared across several clients resulting in further efficiencies. For example, market data feeds can be set up once and benefit all Calypso customers using microservices. Each microservice provides a different function, yet they connect to act seamlessly with each other. Not everyone will need each function and clients can buy what they need. Updates can be performed by function and be backward compatible. Regression testing any upgrades or additional functionality to individual microservices, always one of the more labor intensive, risky and expensive aspects of changing any system, will become a narrower exercise and hence more efficient and less costly. The same code base and architecture stack will be used for both cloud and on-premises collateral management systems. While there is an undeniable trend toward cloud-based systems, we appreciate that it is not the right answer for every situation; the method of deployment should not dictate functionality. Common code will make the software less expensive to develop, maintain, upgrade, and implement. Customers will receive the benefits of any development and best practices and not be subject to ongoing upgrades that do not impact their immediate concerns. We continue to see substantial industry interest in utility services, and are working to empower our clients to maximize the value of these platforms. AcadiaSoft for messaging in OTC derivatives has become the de facto standard and all systems must integrate. The DTCC Margin Transit Utility is another example of a utility that is likely to become standard across platforms. Full integration with triparty agents will be required as more and more collateral movements and valuation are outsourced. All of these utilities will make collateral management more efficient and less costly by providing: easy access to what collateral is available to pledge; a simple way to hold and transfer that collateral; and efficient reconciliation via a common messaging protocol. Another interesting area of rapid development is Distributed Ledger Technology (DLT), or blockchain, as it is often called. DLT has its sights on collateral management. Calypso is a member of the R3 consortium, which has developed Corda, a DLT-based technology designed to facilitate Peer to Peer transactions through smart contracts. R3 has already completed a proof of concept exercise with FX matching and now has a dozen banks in the pilot program. The expectation is that this will extend to settlements, shared data, and aspects of collateral management including margining. Putting collateral management on blockchain will provide market participants with greater visibility and control over the entire collateral management process. This includes visibility into underlying collateral, shared static data and CSAs, outstanding margin calls and margin call workflow. This transparency ensures that collateral can be distributed effectively and efficiently. The visibility established by a collateral DLT promotes security amongst the members, allowing participants to be certain that the collateral posted and received between themselves is not the same collateral being re-posted to someone else. As collateral management needs mature and more users from across the investor universe become integrated, the technology used to enable the business will evolve. This process is a partnership between users, technology vendors, utilities, custodians, regulators, and others. 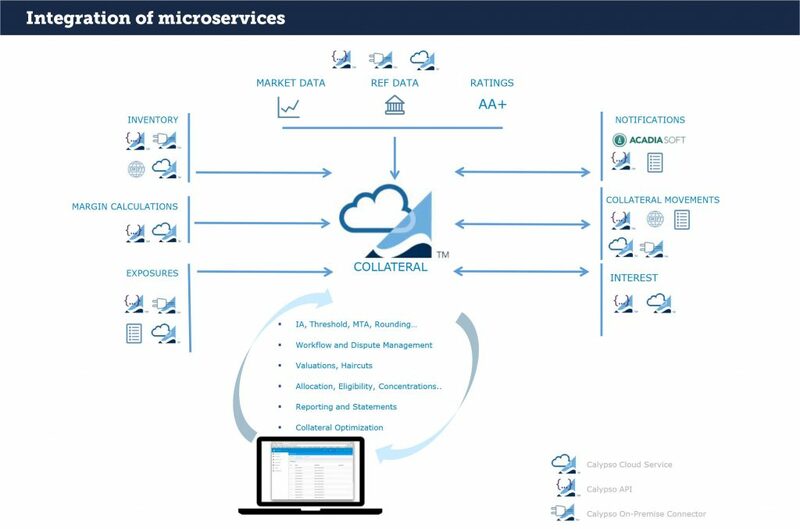 At Calypso, we see cloud-native microservices as a key component to making collateral management more flexible, efficient, and less costly for a wide range of users. 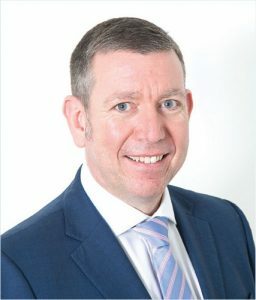 Alan Sheehan is the Director of Product Management for Collateral Management and Securities Finance at Calypso. He originally joined Calypso as Product Manager for the Back Office and has been responsible for building the Collateral Management and Securities Finance solution since its inception. 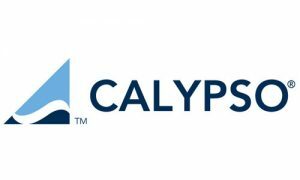 Before joining Calypso, Alan worked for Kleinwort Benson in a number of different roles including Global Head of Corporate Actions and then for Dresdner Bank where he implemented Calypso’s Back Office solution.